Title insurance companies across America have lamented that 30% of real estate transactions taking place today result in companies undertaking a daunting amount of problem-solving to address existing title issues. Before buyers can break open the champagne, they have to wait for their title transfer—which doesn’t always happen as easily as it seems. This is because title issues often arise and must be cleared before ownership can be transferred. So, while the process tends to be arduous enough as is – it can even fall through. This is where a real estate attorney or attorney owned title insurance company becomes so important: these so-called ‘snags’ come in a variety of disguises, and it is up to your chosen company to detect and resolve them. The paperwork and investigatory research required is lengthy and can see companies looking into records as far back as half a century—from old court judgements, tax records, and deeds, to wills, trusts, and divorce agreements—all in a bid to ensure nothing is outstanding. Title searches are evidently far-reaching in an effort to detect any discoverable or hidden hazards that may crop up in the process, thereafter undermining the potential buyer’s right to the property. Despite this exhaustive process, that’s not to say that title glitches cannot still occur. An old heir apparent can creep out of the woodwork, clerical mishaps can evolve into monumental misfortunes, and forged signatures can put indefinite delays on what is already a stressful undertaking. Regardless of how inconsequential or consequential the problem may seem, all must be resolved before the title deed transfer can occur and ownership transferred. The problems found in the title search are compiled into one preliminary title report which is given to all parties involved; from the buyer, seller, and title insurance company, to the lender, and attorney. There are a variety of liens that can occur. The most common being judgements arising from a dispute or contract default, mechanics, child support, and divorce decree liens or bankruptcies. A mechanics lien involves contractors who place a lien against the property in order to ensure they will be paid for their work, which is thereafter released once the job is done – which, in reality, is not always the case. These sorts of liens are usually quite easily resolved. Past-due spousal support liens are also often encountered. 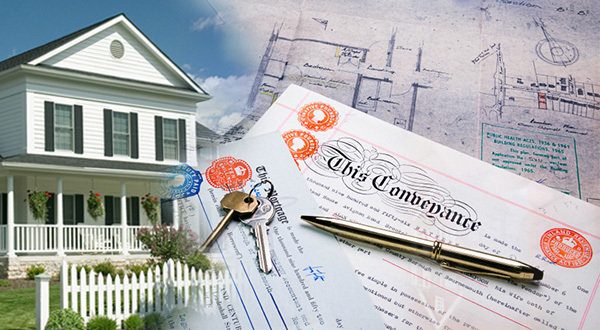 The same problem arises when property is inherited and the owner wants to sell, unaware that another beneficiary exists whose signature is required. Forgery is more common than you might think and is not a problem limited only to con artists and fraudsters. Recent studies have shown that spousal fraud is a prevalent issue and one that is increasingly on the rise across America. This happens when one member of the party signs a document without their partner’s knowledge. And then there is plain, old, simple human error. Perhaps there was a mistake in public records or, quite simply, a document was misplaced. These things happen, but it is awful when they happen to you. A clerical error can result in a frustrating delay on the transfer of ownership, leaving potential buyers tearing their hair out. Contact us today to find out more about the title deed process. Our team of competent attorneys and paralegals have not only been in the industry for years and can provide valuable know-how, but they have the legal background required to address these issues.